Sharon Weiner will embark on a two-year fellowship to study deterrence and US nuclear weapons policy. From North Korea to Iran, US efforts to curb nuclear proliferation are constantly making headlines. Yet there’s another story—perhaps an alarming one, depending on your perspective—that’s received far less attention: The United States is poised to spend roughly a trillion dollars modernizing its own nuclear arsenal. As Sharon Weiner, a professor in American University’s School of International Service, explains, this was not inevitable. US nuclear weapons policy is the result of conscious decision-making. Now, Weiner is embarking on a prestigious two-year fellowship in hopes of understanding how we got here. Weiner is among 31 recipients of the 2018 Andrew Carnegie Fellowship, which offers grants of up to $200,000 to support the publication of humanities and social science research. She’ll spend her first sabbatical year as a visiting researcher at the Program on Science at Global Security in Princeton University’s Woodrow Wilson School of Public and International Affairs. In 1963, President John F. Kennedy warned that we could face a world with 15 or 20 nuclear-armed countries by the mid-1970s. Despite the arms race between the United States and the Soviet Union, the great powers came together to sign the landmark Nuclear Nonproliferation Treaty of 1968. 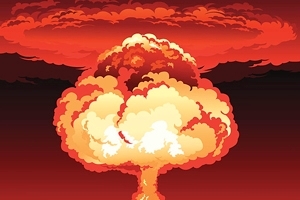 As part of the agreement, the Americans and the Soviets agreed to “pursue negotiations in good faith” toward nuclear disarmament, while nonnuclear states that signed the treaty were prohibited from proliferating. Yet after numerous arms control agreements, both the United States and now-Russia still possess thousands of nuclear warheads—by far the largest stockpiles in the world. Why? In addition, she says that nuclear weapons, while not cheap, are often viewed as cost-efficient compared to other forms of defense. And the weapons ultimately arm the commander-in-chief with more agency and independence. “The president of the United States can sit at his desk, and in about 10 minutes, without consulting a single human being, launch a third of our nuclear weapons. So if you’re the president, and you’re responsible for the security of this country, it’s kind of in your best interest to have that capability. You don’t have to negotiate with anyone,” Weiner says. She notes how economic factors and bureaucratic interests sustain the nuclear status quo. After the Cold War, the United States halted production of most plutonium pits—the fission cores at the center of the weapon. But now the Trump administration plans to ramp up pit production in South Carolina and Los Alamos, New Mexico. The doctrine of “mutually assured destruction” is not exactly reassuring to most people. The frosty US-Russia relationship hasn’t resulted in a hot war, but Weiner thinks the argument that “nuclear deterrence prevents nuclear war” is dubious. “What if it happened accidentally? If you look throughout history, few wars are wars of choice. What is war? It’s me telling you, ‘I want this thing, and you better give it to me. Otherwise, I’m going to hurt you.’ And you can misunderstand, miscalculate, or misperceive my intentions, and we end up fighting,” she says. The large American nuclear arsenal also complicates diplomacy with smaller, so-called “rogue states.” The Trump administration has projected a blustery, hawkish stance toward Iran—a strategy that Weiner says has its limitations. The generation that grew up in the 1980s was mesmerized—and horrified—by a pop culture depiction of the nuclear apocalypse. In November 1983, with Cold War tensions escalating, millions of Americans were transfixed by the TV movie, The Day After. Yet in the decades that followed, fears of nuclear annihilation abated. To be sure, Americans now have plenty of other issues to worry about, including climate change and near-weekly mass shootings. But Weiner thinks that, without public pressure, US nuclear policies will persist under the radar. “If you ask why we haven’t gotten rid of these weapons, quite frankly, we haven’t really mobilized politically to do much about this,” she says. A few years ago, Weiner wasn’t trying to spark activism—maybe just raise awareness—when she watched The Day After with her AU students. Though it originally aired long before they were born, it was still timely. The movie traumatized the students, and Weiner discussed it with them until 2:00 a.m. Either way, after her fellowship, Weiner will return to SIS to reengage with her students. She hopes to share what she’s learned, as her classes grapple with these grave matters.